(Newser) – In Japan, there are all kinds of chocolate that women hand out on Valentine's Day: There's "honmei choco" ("true feelings chocolate") that their romantic interests or partners receive, as well as "tomo choco" ("friend chocolate") given to platonic pals, usually other females. And then there's "giri choco"—a sweet treat that's now come under fire as givers are starting to push back, per Japan Today. That's because the translation for that particular confection is "obligation chocolate," and it's a gift that women are supposed to bestow on male co-workers on Feb. 14. Except some are now balking at both the expense and the general idea behind it, claiming that this "forced giving" can lead to undue pressure at work, and even harassment in certain cases, the Guardian reports. I'm male Japanese and I agree on how stupid you think that is and I just wish them to stop those of nonsense already. I don't even remember when those events are. What are they? In fact we never learned what the origin of Valentine's day is though? Is that religious? Oh I didn't know. 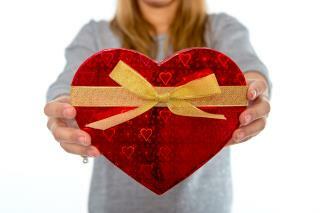 "Japan's Women Are Sick of This Valentine's Day Tradition" Well, now you know how we feel.